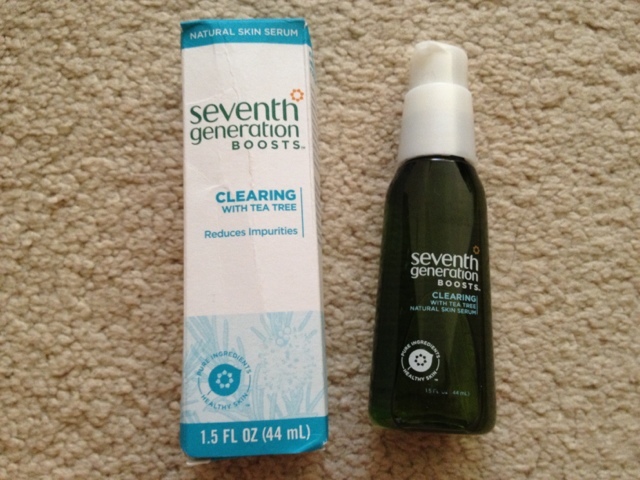 Beauty & All That: Give your skin a Booost with Seventh Generation! Seventh Generation skincare products are pretty new to me. (I've only tried the Mandarin Orange cleansing wipes which I loved!) So I'm psyched to have won via Twitter one of their new BOOSTS natural skin serum made with 100% botanical oils. I chose the Clearning boost with Tea Tree Oil to help with my oily skin. Although summer is almost over, my skin still oily so need something to keep my skin at bay.